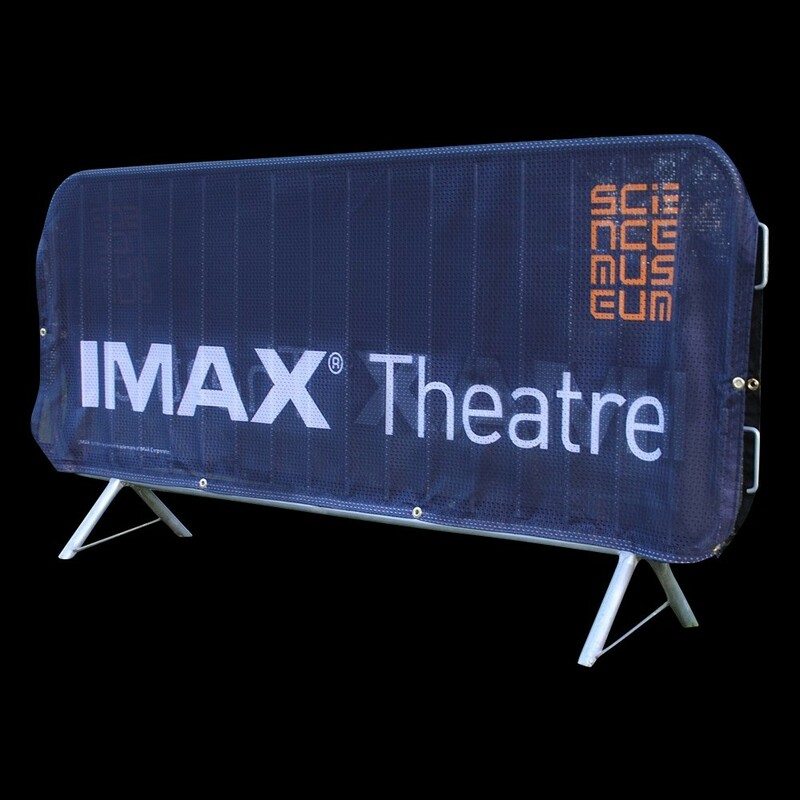 Piggotts barrier covers or jackets can help you advertise your event or provide you with advertising opportunities. Custom printed in multiple sizes Piggotts Flags & Branding can provide you with a custom solution. Printed to double sided, multiple materials and weights each barrier can be custom designed and produced to your own specifications. All barriers are finished fully hemmed with non corrosive eyelets for easy fittings. Quick and easy process and delivered to your door. The material is strong and fire retardant, and offers great print quality, with vibrant colours. The banners are printed on the latest Seiko printers. All banners come fully hemmed with ample non corrosive eyelets. You will also find enough cable ties in the parcel to use your new banner directly out the parcel. Piggotts barrier covers or jackets can help you advertise your event or provide you with advertising opportunities. Custom printed in multiple sizes Piggotts Flags & Branding can provide you with a custom solution. Printed to single or double sided, multiple materials and weights each barrier can be custom designed and produced to your own specifications. All barriers are finished fully hemmed with non corrosive eyelets for easy fittings. Quick and easy process and delivered to your door. The material is strong and fire retardant, and offers great print quality, with vibrant colours. The banners are printed on the latest Seiko printers. All banners come fully hemmed with ample non corrosive eyelets. You will also find enough cable ties in the parcel to use your new banner directly out the parcel.